There are few signs for relief for Greece as their government agrees to yet more harsh austerity terms in exchange for another bailout from international creditors. The debt crisis began in 2009, and as the Greek government struggles to find a resolution, living conditions are rapidly deteriorating. But Greenpeace believe they can help boost the economy and provide energy security by installing solar panels across the country. The organization plans to start with installations on the island of Rhodes—dubbed the “Island of the Sun”—and has launched a crowd funding campaign with a “symbolic” goal of $1 million to support the project. 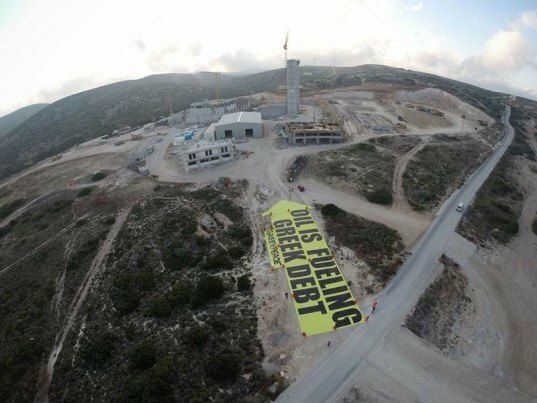 At present, Greece is constructing a new oil-fired power plant on Rhodes, at a time when—according to Greenpeace—the government is spending €800 million each year on oil subsidies. According to the IEA, almost all of Greece’s oil is imported, and it accounts for a highly significant 45 percent of the country’s energy supply. 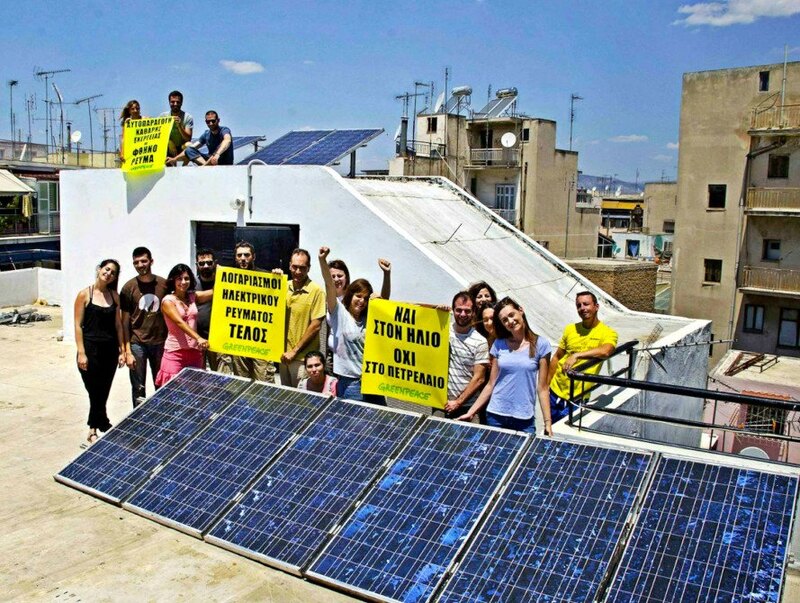 Greenpeace’s efforts to solarize Greece would function as a growth of existing small-scale projects. As Greenpeace explains, “Last year we installed solar panels in two households in Rhodes and earlier this year we installed solar panels and heat pumps in a shelter for orphans that couldn’t afford heating during the winter. Additionally, a couple of years ago we retrofitted a school at a mountainous Greek village by insulating the walls, installing new window double-glazing frames and replacing the oil heater with a biomass one. All of these projects were fully funded by people.” As opposed to, one assumes, private interests. While a million dollars is, as the non-profit explains a “symbolic” goal, the funds raised through Greenpeace’s IndieGogo campaign would be used to “install as many solar panels as possible onto households that live on the brink of energy poverty,” explained Takis Grigoriou, climate and energy campaigner for Greenpeace Greece, in a conversation with CNBC. The organization has additionally explained that they will work with local contractors to perform the installations, and are currently in the process of identifying the most suitable buildings for solar installations within low income neighborhoods. Sorry but it would be better for socially conscious people to donate money to help people starving in Third World countries been to build solar panels for a member of the EU which doesn't have the political will to get its financial house in order. There are few signs for relief for Greece as their government agrees to yet more harsh austerity terms in exchange for another bailout from international creditors. The debt crisis began in 2009, and as the Greek government struggles to find a resolution, living conditions are rapidly deteriorating. But Greenpeace believe they can help boost the economy and provide energy security by installing solar panels across the country. The organization plans to start with installations on the island of Rhodes—dubbed the "Island of the Sun"—and has launched a crowd funding campaign with a "symbolic" goal of $1 million to support the project.